Water can enter a home or business for several reasons. One may experience water entering their home from a bad storm, pipes bursting, toilet overflows, water heater leaks, and many other reasons. 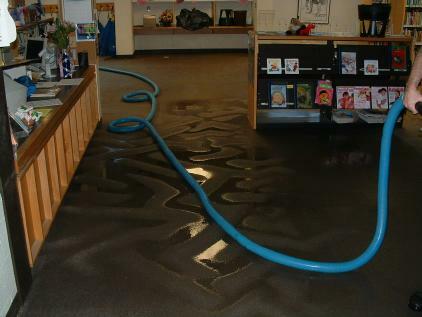 Any time water enters the rooms of a home or business, it can cause a lot of damage to occur. The walls, floors, cabinets, and belongings can be damaged from the water. Mold can even start to form immediately and cause the individuals around the mold to get sick. Once mold starts to grow, it can spread out to other areas of the home or business. When water enters a home, it is important to have it removed immediately. Water restoration companies will be able to have a technician assist you in getting the water removed. All of the water will be pumped out of the rooms that are wet. Once the bulk of the water has been removed, the professionals will use their drying technology to dry all of the affected areas completely. Then, the areas of damage will be restored. This would include the walls, floors, cabinets, and any other affected areas in the room. The home or business will be looked at to determine the reason for the water damage. This way, proper repairs can be done to ensure the water will be not able to enter the home or business again. For example, if a pipe burst, causing the water to enter the home, the pipe will be located and repaired.